Only two yellow wires you have to connect in the red circle that I draw in the picture. Then the horn will work. I've just registered, I find myself in exactly the same position as jamie8954. 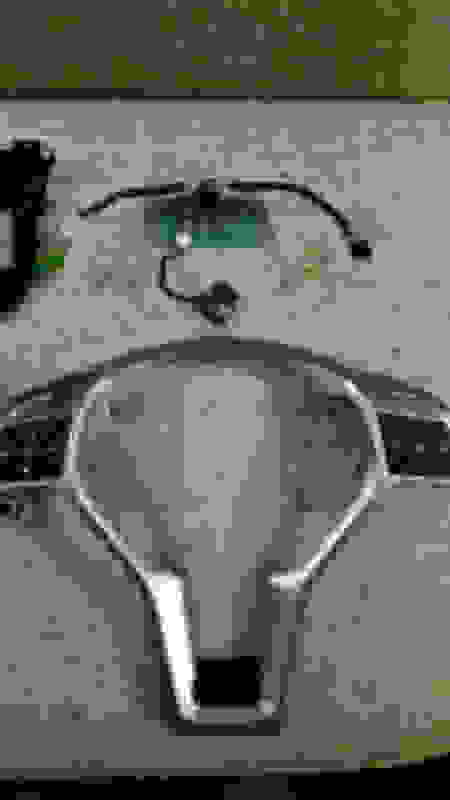 With those yellow wires for the horn, do I need one wire from each side of the chip or the two wires from one side? Does it matter what orientation they go in? The chip seems like it will push down on the top of the yellow wires, is this right? Also, do I take the brown connector with three wires from the new chip and plug it to three prongs on the old one? Thanks in advance for any help, I'm nervous about screwing this up! I find myself in the same situation, swapped the new steering wheel over and none of the buttons or horn worked. Before I pull both apart and risk damaging anything, what exactly needs to be modified / changed? So when I take apart the pre-fl wheel, I am basically replacing the circuit board with the old one, AND the 3 headed cable correct? What about the brown connector, does it have a different end on the old circuit board? 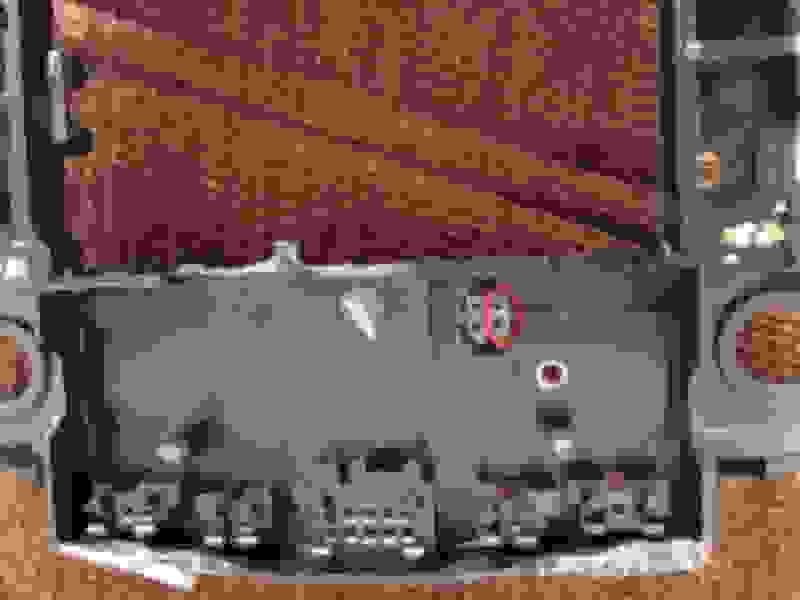 Last edited by Sappo569; 02-26-2015 at 10:17 PM. Hopefully someone with some expertise chimes in. The horn was constantly on. 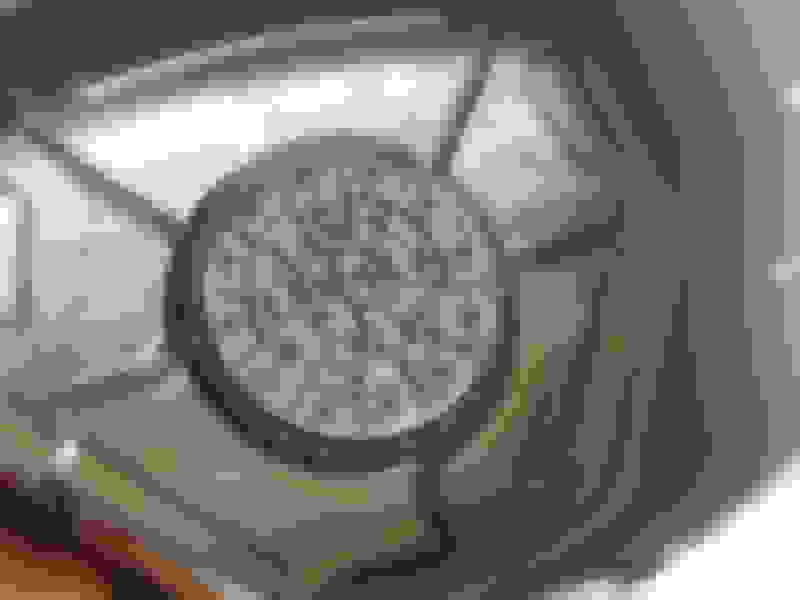 My feeling is the contact plate that has the springs on it, which is what is 'pushed' when you press for the horn, was for some reason pressed too tightly and thus always ON. The 3 torx screws that hold the contact plate + metal plate onto the steering wheel, I tried loosing them up, as the top seemed to have no 'springiness' meaning it was fully compressed already, the bottom had plenty. But if I loosened them so the airbag was almost falling off, the horn would still sound. It might be because fitting the circuit board and wiring behind the contact plate was tough for me, and it is probably causing the contact plate to not sit flush against the inside of the steering wheel. I have been doing a bit more digging based around the part number of my wheel. According to partsbase.org part number A1724601803 is used on the A/CLA/GLA/SLK class but no mention of the C/E class. I had my mechanic attempt to code the wheel for my car and Mercedes system flat out refused. 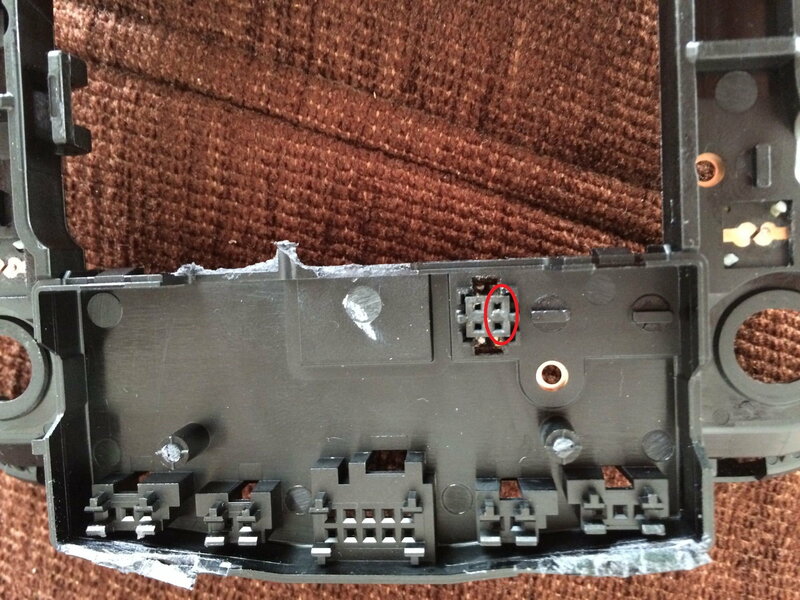 Does anyone know if I obtained a steering column control module from one of the models mentioned above, would it fit my W204 C class and talk to the rest of the car properly? There is a huge number of part numbers listed for the column control module, anyone able to offer any insight as to which one I might need? 1803 is the wheel of the R172 SLK and it will not work. It's cu is for model year 2013, you need one for my2012. In general, no wheel with red stitches will work in a pre facelift, they are all made for my2013. So you think a wheel from a facelift W204 without red stitching would probably work? Would the airbag that came with the wheel I have work with a facelift W204 wheel? It doesn't seem to have thrown up any errors or anything at the moment. No, not in general. But wheels with red stiches came with 204 my13 the first time. And with my13 the new column came. The my13 column is unable to comunicate with pre facelift CAN and LIN. Just three AMG pack facelift wheels my12 are working in pre facelift. A172 460 2703 w/ paddles, 2803 w/ paddles w/ vibration, 2903 w/o paddles. These wheels work with the pre facelift column. The facelift column my12 is only responsible for making the illumination of the knobs work. Need to know the Extras (memory/cruise control) of your Sedan and I can give you the part no of the facelift column. What a thoroughly brilliant reply, thank you so much for those part numbers! My car has cruise and memory but no vibrate. I'm not fussed about the buttons lighting up, if I can just have the buttons and paddles working that would be great. Do you know if the airbag I have is ok? 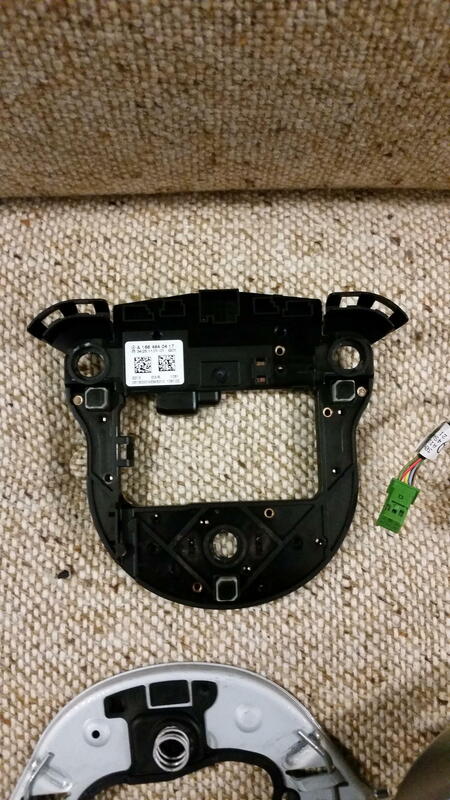 I guess you would need the part number to say for sure but it came with the wheel off the SLK. If the SLK airbag is the right one for the SLK wheel, it should have no. A172 860 2802. 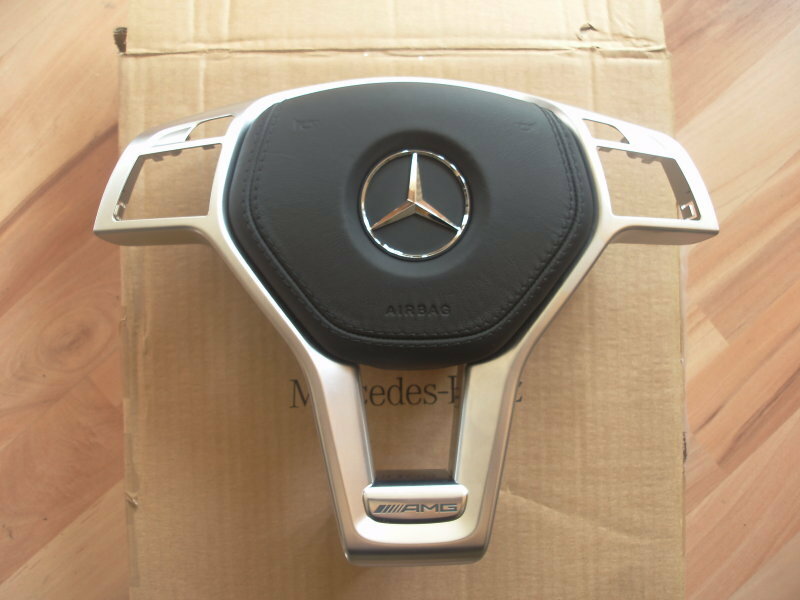 Unfortunately the 204 AMG Pack facelift airbag has a different part no., A172 860 1602. The SLK airbag will fit the 204 wheel, but I don't know exactly if it will work a 100%. Fantastic, if I had a wheel with one of the part numbers you listed previously would I even need a facelift column? The knobs and the horn of my mentioned 3 facelift wheels will work with pre facelift column, but the illumination does not. To make the illu work you have to install a my12 facelift column with mentioned no. Great, thank you. Do you know the part number for the airbag that goes with wheel 2703? You sir, are my new hero. Thank you! Last edited by Minuszeit; 03-09-2015 at 07:29 PM. So finally everything is working. Let me just say this is not a DIY for the faint of heart... I had to cut/solder a good bit, and mangle the plastic backing plate. Original OP here. Good work guys. But I might skip the added mod. I'm trying to keep what I take off in original condition so when it comes time to sell or trade I don't have to buy new parts or put reworked parts back into the car. But great job otherwise. 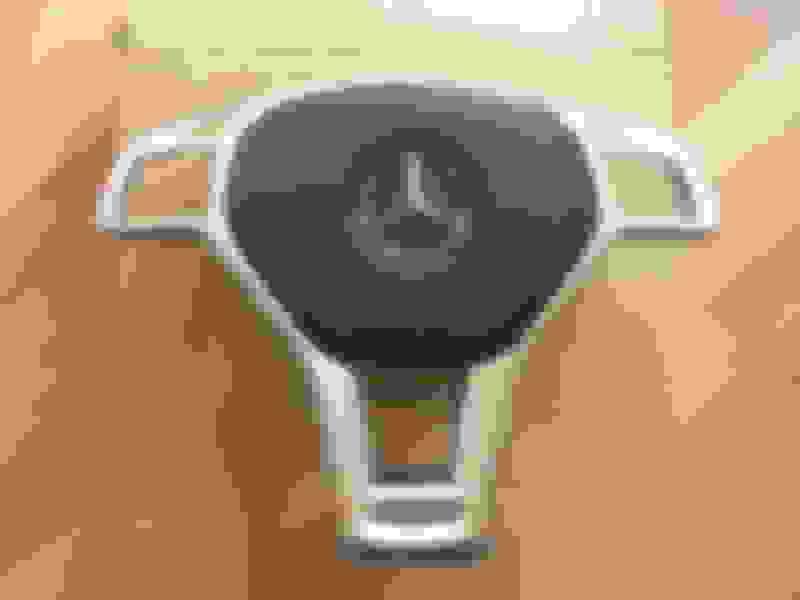 Want to show a mod on the AMG Package facelift wheel. 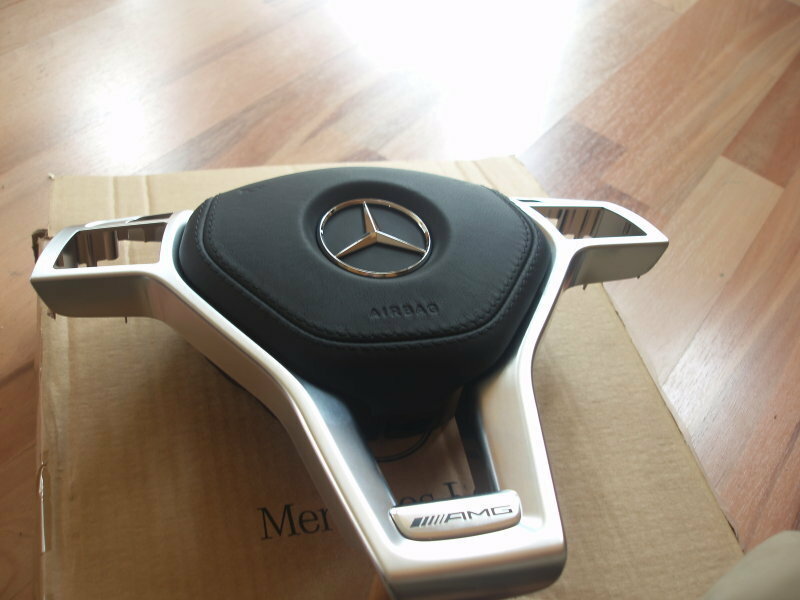 OEM AMG trim and OEM Nappa airbag cover for those who have leather interior. Just a little follow up. I bought the wheel as suggested by minuszeit and everything works. Unfortunately, it's a little battered so I'm now toying with the idea of swapping the internals in my two new wheels so I can have the red stitched wheel which is in nice condition and all the buttons working, I havn't checked yet but I reckon it should be a straight swap. Also, still need to work out whether the airbag I have is functional or if I need the other one. Not sure how I'm going to do that. When you say all is working, do you mean the buttons light up too? No, sorry. No lights on the buttons but I don't really care about that. Oh ok. Same as mine. What year is your car? I wonder if these paddles not working issue has to do with year of production. As I mentioned the illu of the knobs will work with my12 column. The paddles of the non paddled stock wheel do only work when you add code 428 to vedoc. Thats the one and only alternative. 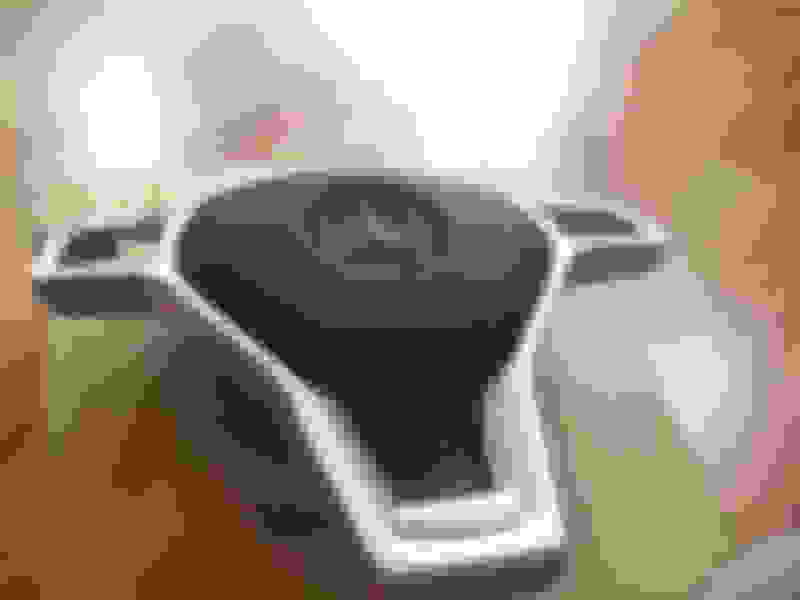 Did you buy a brand new or used ride? Last edited by Minuszeit; 03-13-2015 at 09:03 PM.